The History of the Sonata cont. The development of the sonata would become decisive in the classical era. 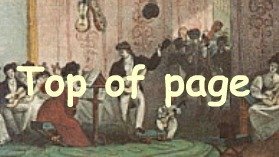 It ascended from being one of many terms indicating genres or forms, to designating the fundamental form of organization for large-scale, multi-movement works; for such musical works many different names were initially applied in the classical era: names such as divertimento, serenade, and partita. The use of the term sonata as a standard term for such works began around 1770. Hadyn labeled his first piano sonata as such in 1771, after which his use of the term 'divertimento' became rare. 1. Allegro - which was understood to mean not only a tempo, but additionally a "working out" or development of the theme. 2. The middle movement was usually of a slow tempo, either Andante, Adagio or Largo. Sometimes it was a Minuet or a Theme and Variations format. 3. The closing movement was an Allegro or Presto, often labeled as a 'Finale'. The form of this movement was frequently a Rondo or Minuet. Many conservatories of music were established in the early 19th century. Within these institutions efforts were made to codify the practices and methods of composition in the classical era. No longer was the term only used to designate a work as a Chamber music, now, the term sonata was defined as method of building music for concert music in general. 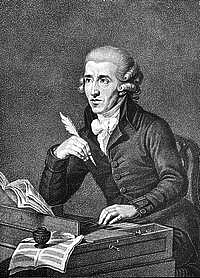 During this period the sonata was rigorously defined: from a combination of previous practice, and the works of important Classical composers, particularly Haydn, Mozart, Beethoven, but composers such as Clementi also. In Germany, there emerged two groups with differing views on the evolution of music. 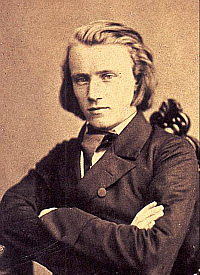 Johannes Brahms (1833 – 1897) and the Brahmsians believed that the form and construction of sonatas should be strictly adhered to, and Beethoven's music was the highest ideal of music. While Richard Wagner (1813 – 1883) and Franz Liszt (1811 – 1886) and the Wagnerians claimed to have transcended the excessively strict and rigid rules and forms, which stifled variation and individuality. Other important composers who wrote sonatas in this era were : Frédéric Chopin, Felix Mendelssohn and Robert Schumann. The piano sonata lost its popularity in the late 19th century as composers aspired to break away from traditional forms. The title Sonata no longer implied a work for piano solo; or piano with another instrument, and the work often did not contain multiple movements. Having said this, some composers retained more historical techniques and styles, while others favored newer methods of music making. Composers such as Bartók, Stravinsky, Poulenc and Hindemith wrote sonatas. 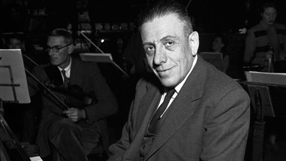 The frenchman Poulenc was particularly fond of the Sonata and wrote such works for many instruments including oboe, clarinet and flute.